Checkout our Extra Day Guide to explore more about Hong Kong. You cannot forget about shopping when visiting Hong Kong. Harbour City Mall, one of Hong Kong’s most popular and famous multi-shopping complex, is only a 10-minute walk away from our hotel and the rest of Tsim Sha Tsui area. Ranging from mid-end to high-end designer brands, sports equipment, children toys, and a sprawling choice of restaurants of multinational cuisines, you can easily spend the whole day here. After a long day of shopping spree, walk around TST and explore more localized, lower-end brands as well. 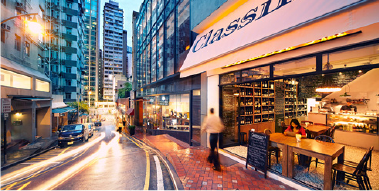 Star Street sits at the epicenter of the once sandy-and-quiet Wan Chai. An area which has since transformed into one of the most prosperous districts in Hong Kong. Today, you are far more likely to find a trendy store, stylish art gallery, or elegant restaurant on Star Street. Venture into these funky, artisan stores and chat with the owners to find out why this artistic destination is taking Hong Kong by storm. Check out the street market life of Hong Kong at the Ladies Market. 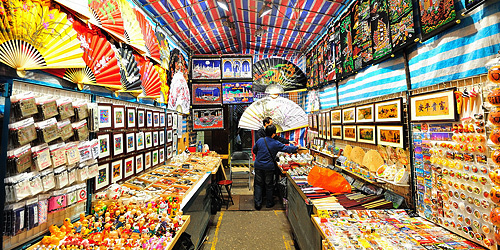 The market has over hundred shops of accessories, clothing, electronics, food, and other local souvenirs. Stock up on gifts for your family back at home and indulge in the authentic local street foods such as curry fish balls, egg waffles, iced milk tea, and more. Before revitalisation, PMQ was built in 1951 as the Police Married Quarters. In November 2010, the HKSAR Government announced the plan to preserve the site for creative industries uses. The operating right was awarded to PMQ Management Co, Ltd, a non-profit-making social enterprise set up by the Musketeers Education and Culture Charitable Foundation Ltd., in collaboration with the Hong Kong Design Centre, The Hong Kong Polytechnic University, and Hong Kong Design Institute of the Vocational Training Council. Developed by Sun Hung Kai Properties, sky100 Hong Kong Observation Deck is located on the 100th floor of International Commerce Centre (ICC), the tallest building in Hong Kong. 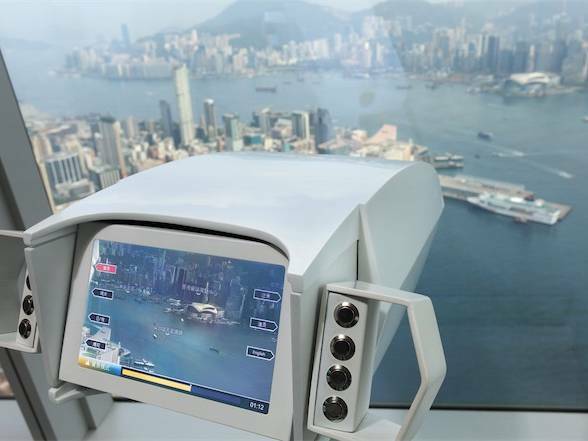 At 393 m above sea level, it is the only indoor observation deck in Hong Kong offering 360-degree views of the territory and its famous Victoria Harbour. 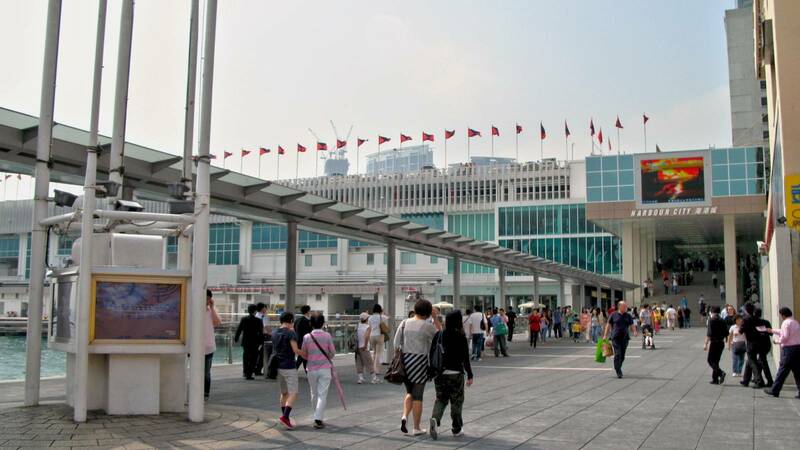 Connected to major transportation networks and world-class shopping mall in the city, it has been acclaimed as the must-visit first stop for tourists to Hong Kong. It also features exceptional swift double-deck high-speed elevators, which reach the 100th floor in just 60 seconds. Beyond the splendid Hong Kong city panoramic view and magical scenery, sky100 is also home to a large-scale interactive multi-media exhibit and a comprehensive guest centre. Offering fascinating insights on local history and culture, the state-of-the-art exhibit enriches visitors with a thorough understanding of Hong Kong. Apart from being a tourist destination, sky100 is also an ideal venue for corporate events. With the stunning 360-degree view from this fascinating and prestigious setting, large venue space and soaring ceilings, sky100 gives organisers an incomparable degree of creativity and flexibility, creating memorable and unique events that will certainly impress their guests. Experience the world’s largest permanent light and sound show at the Victoria Harbour. 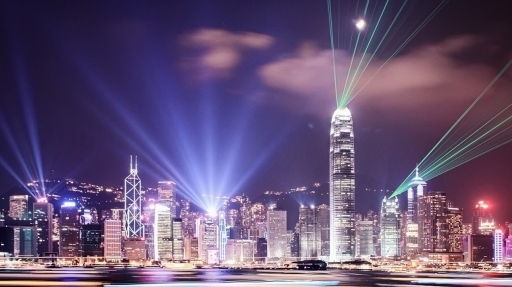 Over 40 buildings on the Hong Kong Island will light up along with the green light beam at 8 PM every night. You can enjoy the fascinating scenery as much as you want with our hotel located just at a walking distance from the harbour. 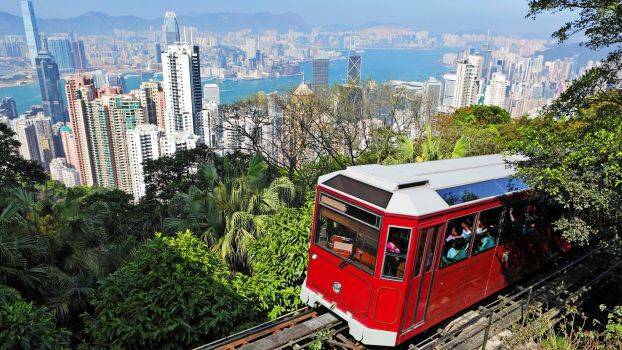 No matter how short or long your visit to Hong Kong is, The Peak is a must-visit attraction. The picturesque view from the top of the Hong Kong Island will definitely stay in your eyes for a long time. The Peak Tram is also an unforgettable experience. The tram rises 396 meters (1,300 feet) above sea level. The intensely steep view will excite you more for the mesmerizing 360-degree panoramic view of Hong Kong. 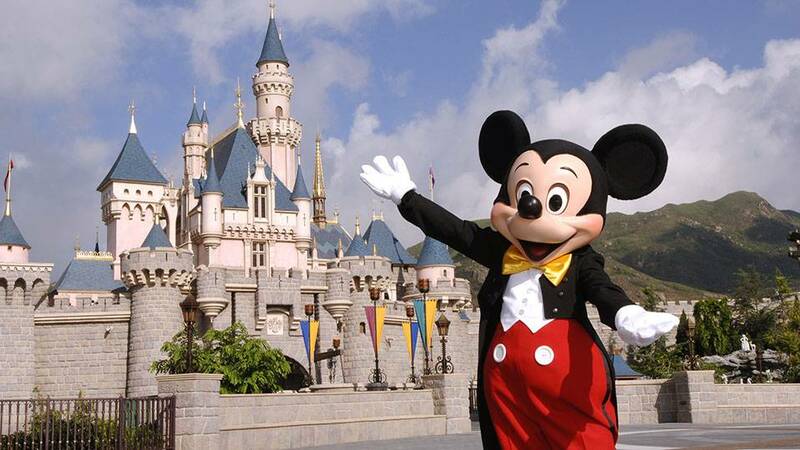 With the blend of modernized International attractions and ancient Chinese culture, Hong Kong Disneyland attracts many Asian tourists. The mix and match of originality and novelty of different cultures will definitely make your dreams come true at the happiest place on earth. 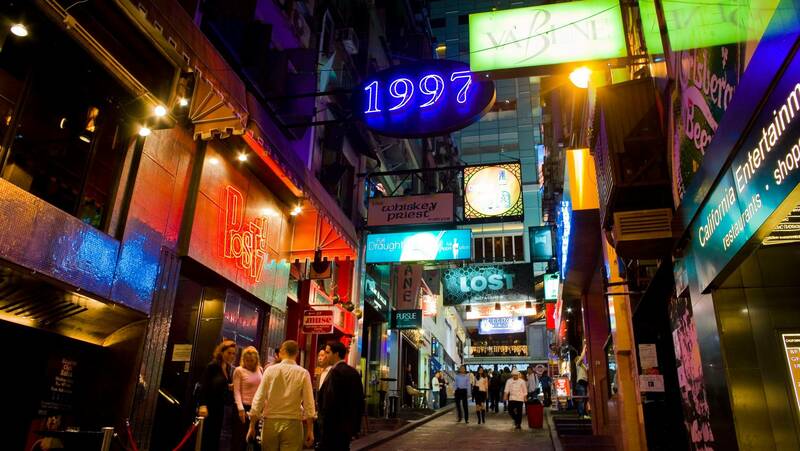 Explore Lan Kwai Fong if you want to check out the nightlife of Hong Kong. You will soon understand why Hong Kong is a city that never sleeps. Lan Kwai Fong is filled with over 90 restaurants, bars, and clubs. The trendy hotspot is very popular amongst both tourists and locals to celebrate the end of their busy week with some booze and dancing. 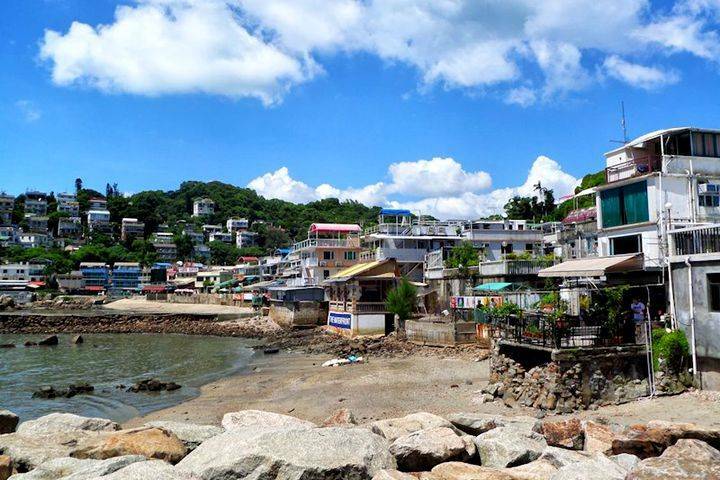 The Lamma Island is located only 3km away from the hustle and bustle of Hong Kong Island. Experience both the local fishery and dining and also the natural aesthetics. Take a day away from all the shopping and heal both your body and mind with a nice hike. If the hike is too tiring for you, you can end the trip to Lamma Island with a soothing walk around the surrounding beaches. Get a grasp of the beautiful sky view on the Ngong Ping 360 cable car from Tung Chung to Lantou Island. Also pay a visit to the Tian Tan Buddha at Po Lin Monastery. As one of the world’s biggest Buddha sculpture, the enlightening ambience will leave a huge cultural impact in your mind.